The Lilla house is an ancient family home, expertly restored to offer guests modern comforts without distorting Ligurian architecture. The house has three large bedrooms, two doubles and one twin. It is spread over three floors for a total of over 200 square meters. 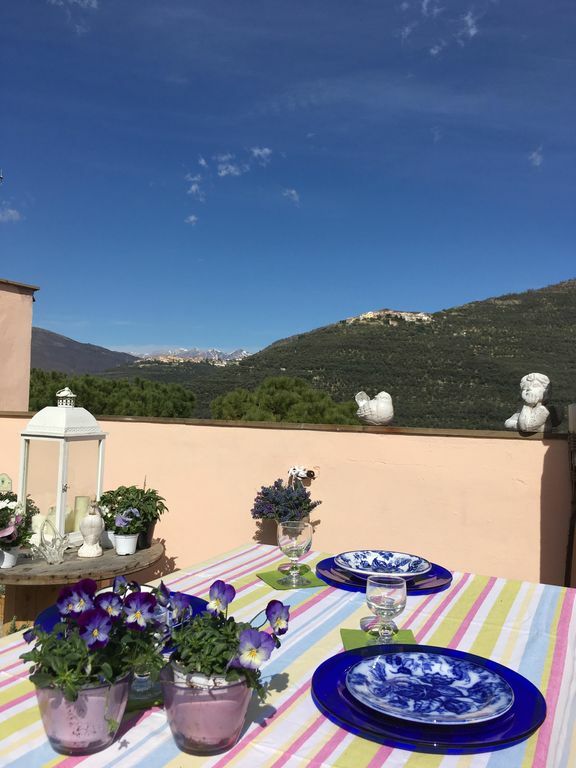 It is composed as follows: the upper part of the house, called loggia, includes one of the three bedrooms, from where you can access a panoramic terrace overlooking the village, dominating the hills and offering a completely open and wide-ranging view. The terrace is equipped with a built-in barbecue, table, umbrella, sunbeds for sunbathing during the day, and wonderful dinners in the evening. On the first floor we have the second bedroom, a living room with a television, a large dining room, and a kitchen with a large table seating six, adjacent to the kitchen two local pantry. On the ground floor there is the large bathroom, with a shower made with mosaic walls and lighting of its own, at the bottom of a short and charming corridor there is the third large bedroom with fireplace. The house is located in the center of the village, with one of the three large public car parks less than 10 meters away, it is a unique property, away from traffic. The bathroom is very large, the restoration was done on the occasion of the decision to create a guest house, it is taken care of in every detail.